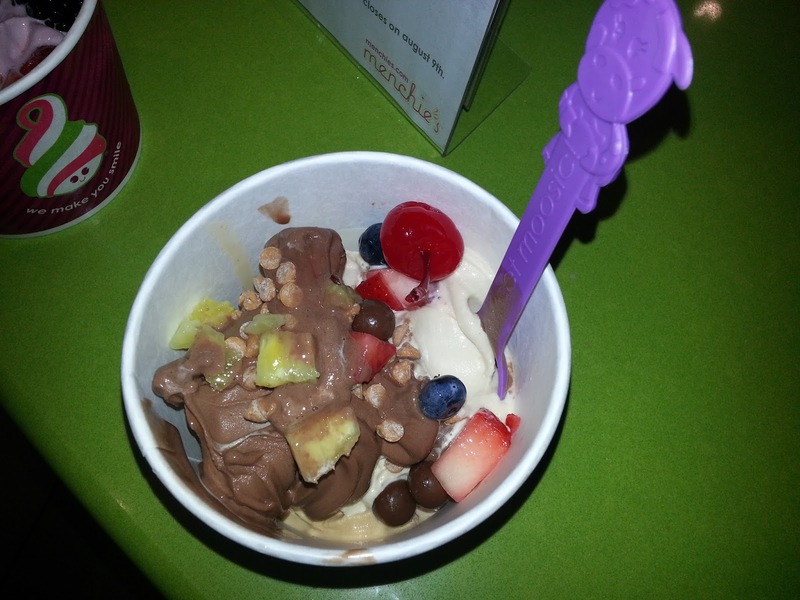 Menchie's is a frozen yogurt shop that is bright, colorful and obviously geared towards kids. As I learned on my recent visit, that does not mean that they don't cater to adults too. I visited the Menchie's of Northeast Park in St. Petersburg, FL at 196 37th Ave N (in the Publix shopping center). I must admit that this place wowed me a lot more than I thought it would. 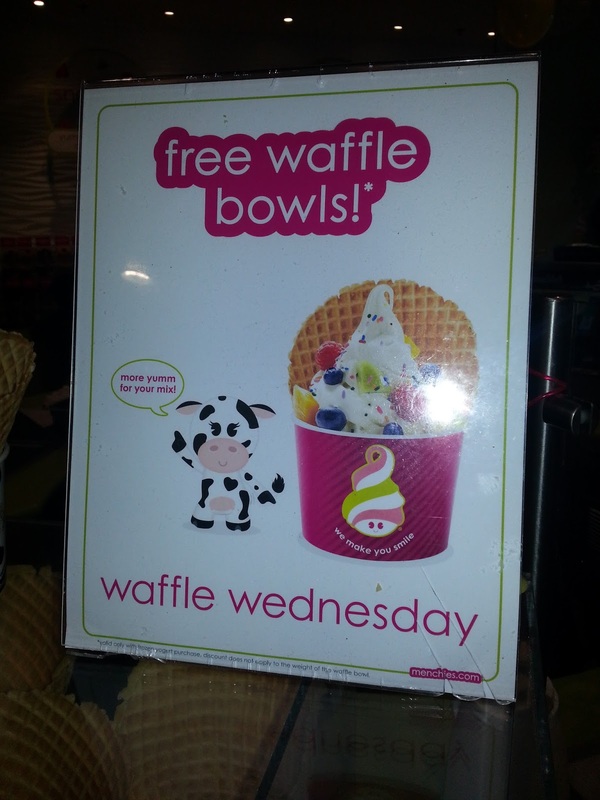 Amazing looking waffle bowls that are FREE on Wednesdays! 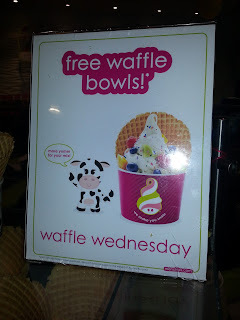 I have always been a sucker for waffle bowls. 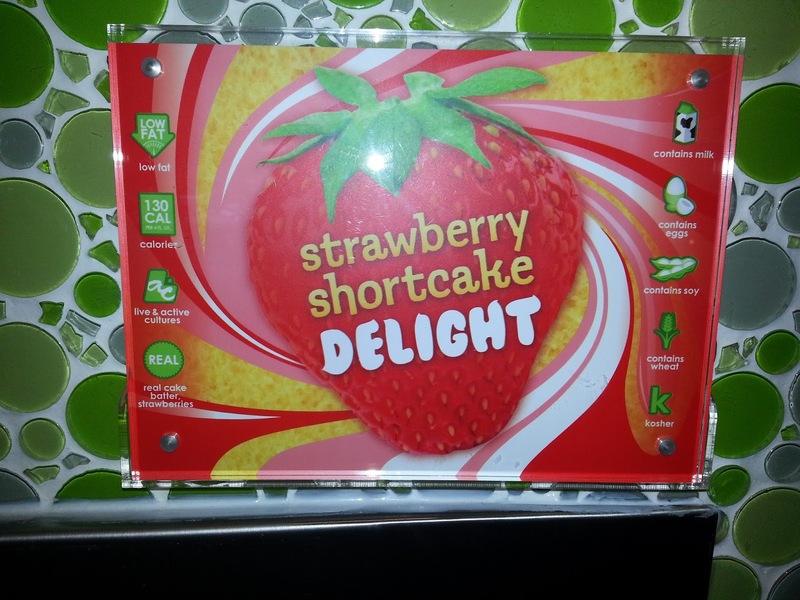 Something about the sweet crunch makes your yogurt or ice cream super tasty. I had the chance to talk to Steve the General Manager of this Menchie's and he told me that Menchie's makes almost all of their yogurt (they had only one that was not made by Menchie's). 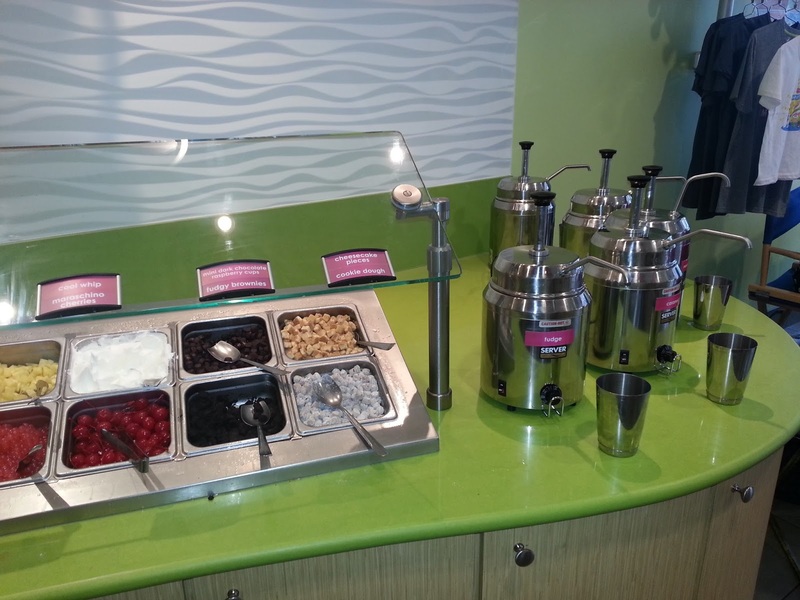 He also explained that they always have two sugar-free (that are sometimes low carb) yogurts available. This was music to my ears since I am diabetic and trying my best to be good (although I failed on this trip). 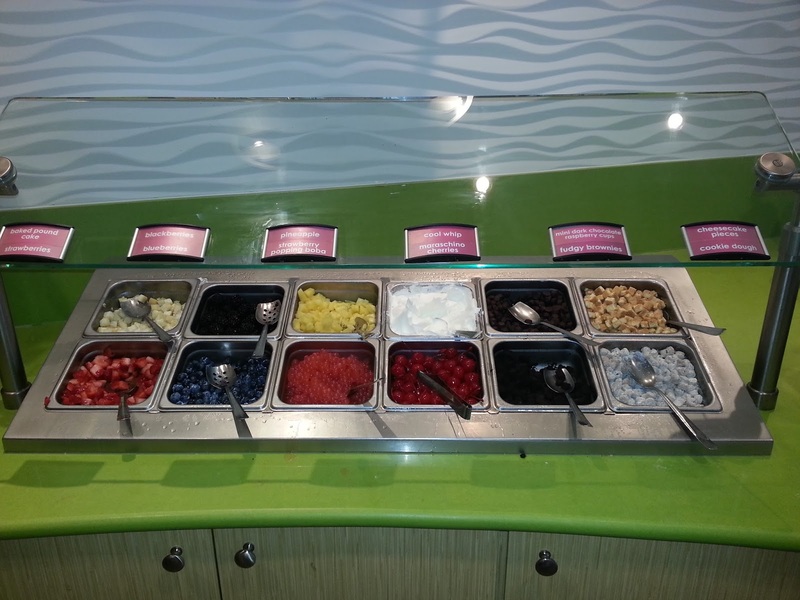 Menchie's also has plaques above each yogurt with little pictures indicating if it is dairy free, low fat, kosher, gluten-free, etc. Most of the plaques also contain a QR code that you can scan and receive the full nutrition information for that product. This is awesome for people with allergies, conditions (like my diabetes) or just people that are on diets. 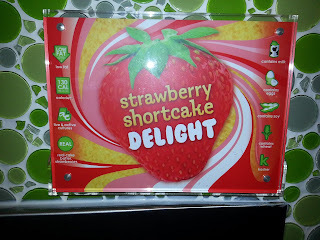 I only took a close-up picture of their "flavor of the month" which did not have a QR code. If it doesn't have a code, they have a binder with the information readily available. See the icons on the side? This yogurt is low fat, 130 calories for 1/2 bowl, kosher, etc. 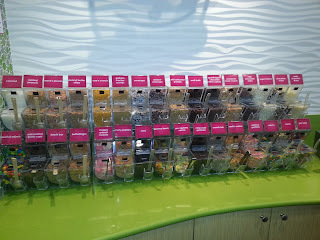 Menchie's also allows you to try as many samples as you would like before deciding! They always have a tray out full of sample cups. I love this!! I have ordered yogurt that I didn't care for at other yogurt shops so many times because they didn't have sample cups out. I admit that I tried most of their flavors on this trip. Honestly, there wasn't a single flavor that I did not like. Now the question was: what to get? There were literally thousands of possibilities. In the end I narrowed it down to three flavors: Chocolate Bar (which was sugar-free and tasted amazing and didn't have a funky sugar-free taste), Toasted Marshmallow (not sugar-free, but one of my all-time favorite flavors) and Peanut Butter (which was a light airy tasting peanut butter, not too heavy or strongly flavored). I decided on malt balls, peanut butter chips, pineapple, blueberries, strawberries and a cherry on top. It wasn't the prettiest creation, but it was super delicious. My Husband choose the Pomegranate Blueberry Tart (which was another favorite that I debated getting) with fresh fruit and angel food cake. See the cute straw? You get to pick your color and keep it! Whether you are an adult or a child, make sure you visit Menchie's for a fun and delicious frozen treat. Tell them that Thrifty and Frugal Living sent you and receive 10% off*! Menchie's is also heavily involved in Fundraising and a great part of our community. 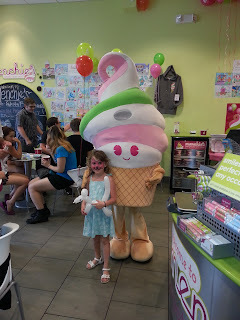 Make sure to follow the Menchie's Northeast Park Facebook page. 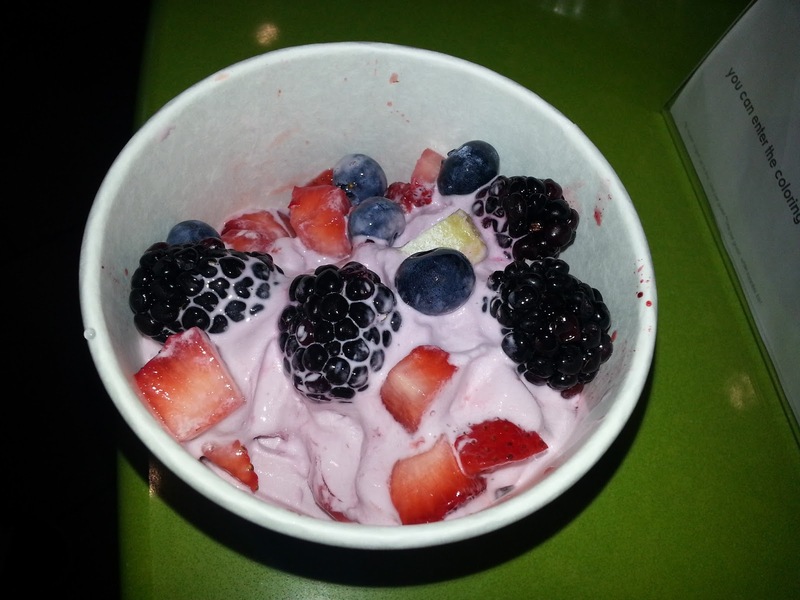 Disclaimer: I paid for my yogurt in this post, but I will be provided with free yogurt on a future visit. I was not compensated in any other way. All opinions are my own. 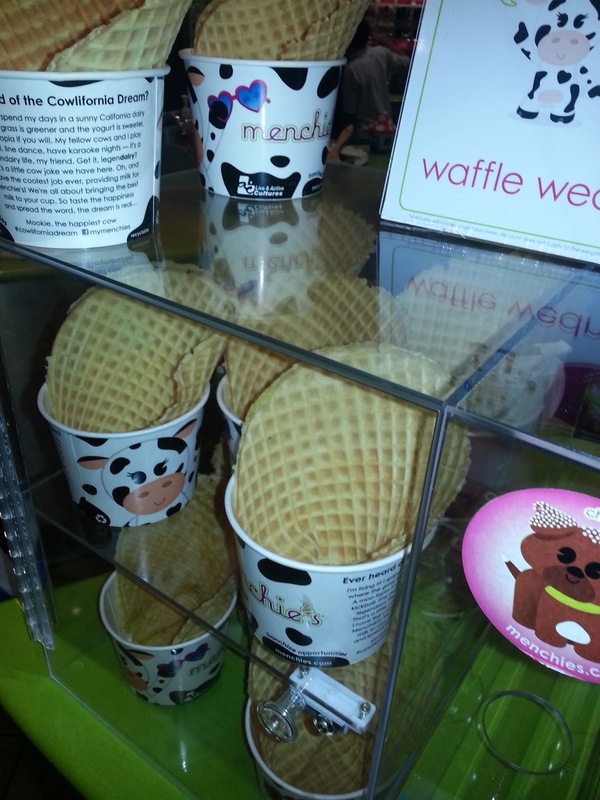 Menchie's of Northeast Park looks like a great place (especially for the kids! )....I will definitely have to check it out the next time I'm in St. Pete -- thanks for the post! Cute! I'll be down in your neck of the woods in a couple months, and probably more likely to check out that location than the one in my hometown, which is waaaaaaaay out in the 'burbs! This place looks so neat and yummy! I wish we had one nearby. 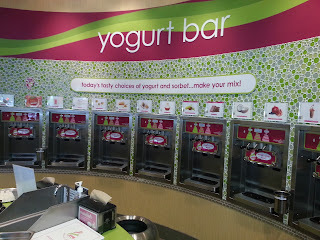 =( I would love to take my girls to one. Will definitely look up their locations whenever we go traveling though! They just opened a Menchies in our neighborhood and haven't really thought about going, but your review changed my mind!